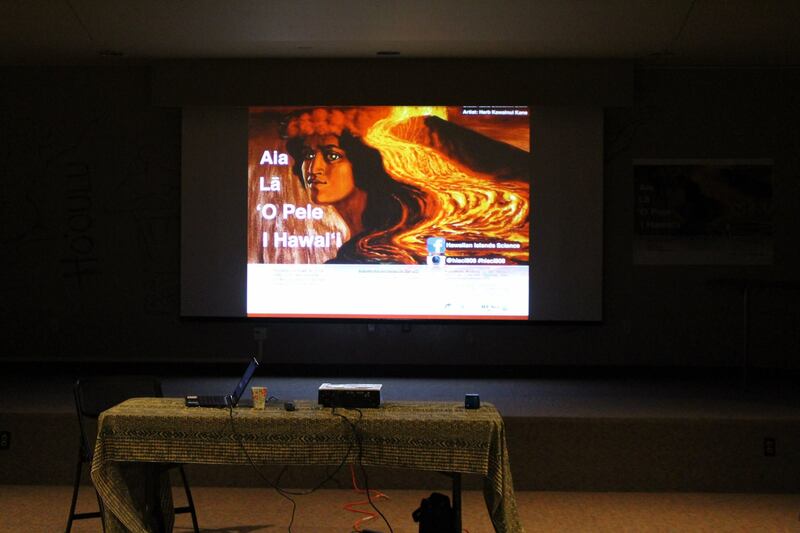 On October 30, 2014, Hawaiian Islands Science, EWCPA Sustainability Team, and Pan-Pacific Association hosted an event on: Aia La O Pele i Hawaii: There is Pele in Hawaii–Is Geothermal Appropriate for Hawaii? The discussion had invited speakers talk for 10-minutes to theme. 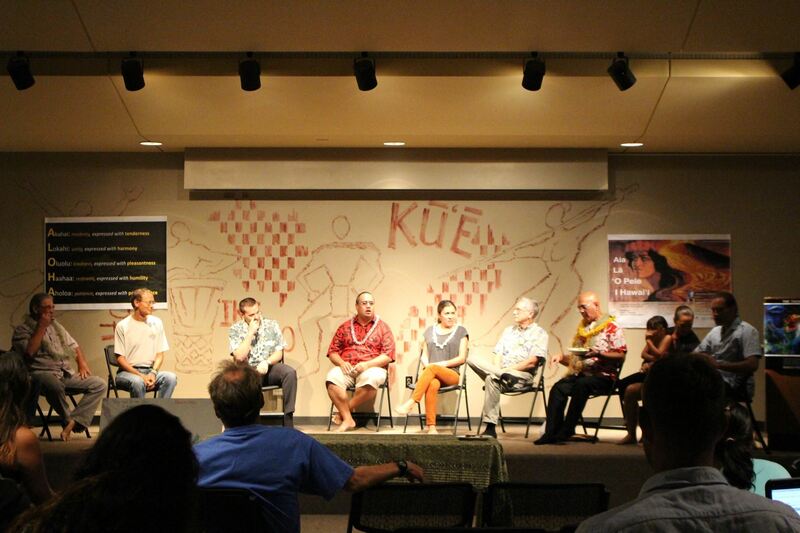 We had Kumu Kimo Alama Keaulana, Assistant Professor of Hawaiian Language & Studies at HCC share the Native Hawaiian perspectives and connections to the volcanoes. World renowned Scientists Dr. Donald M. Thomas and Dr. Nicole Lautze from the Center of Study of Active Volcanoes at the University of Hawaii at Manoa shared the technical aspects of geothermal technology. They shared stories from Iceland, New Zealand, and elsewhere on various geothermal fluid extraction and heat conversion to electricity technologies. Mark A. Brady from the Department of Land and Natural Resources presented the U.S. laws and regulation perspectives of the construction, operation and maintenance of a geothermal plant. In U.S. regulated regions, an environmental study is required to assess the ability and feasibility of geothermal extraction in a region. If deemed feasible and after going through a series of community discussions and permitting, a geothermal plant could be constructed. After their presentations, we took a heavy pupu break. 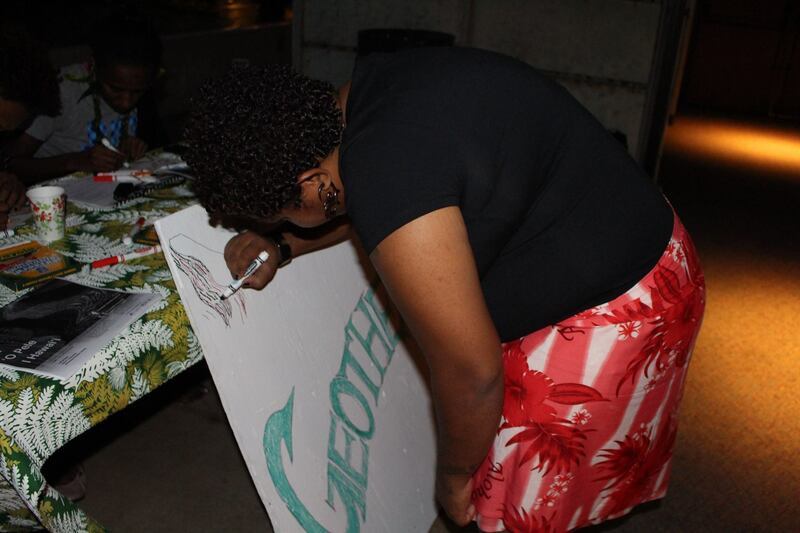 Audience members had an opportunity to particpate in an art and poetry to share their connections to geothermal and Pele. 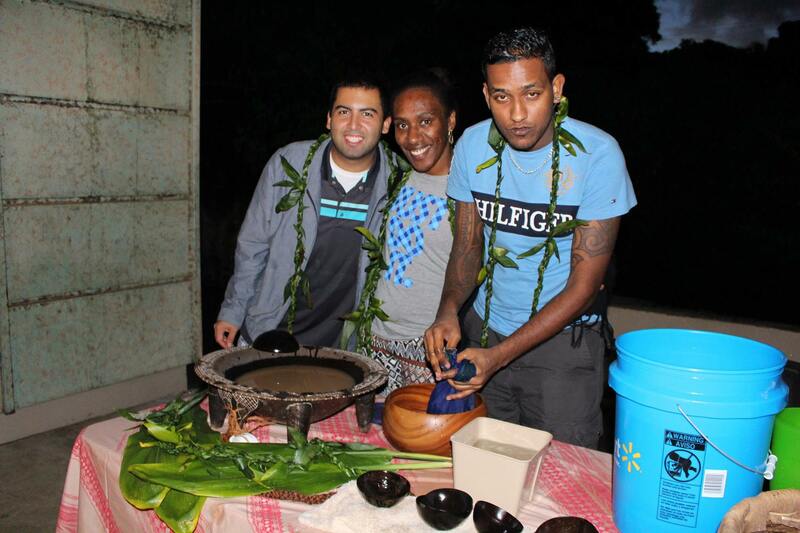 Fijian Kava was also served at the event. After the break, the community participated in a 1-hour open technology fishbowl discussion. 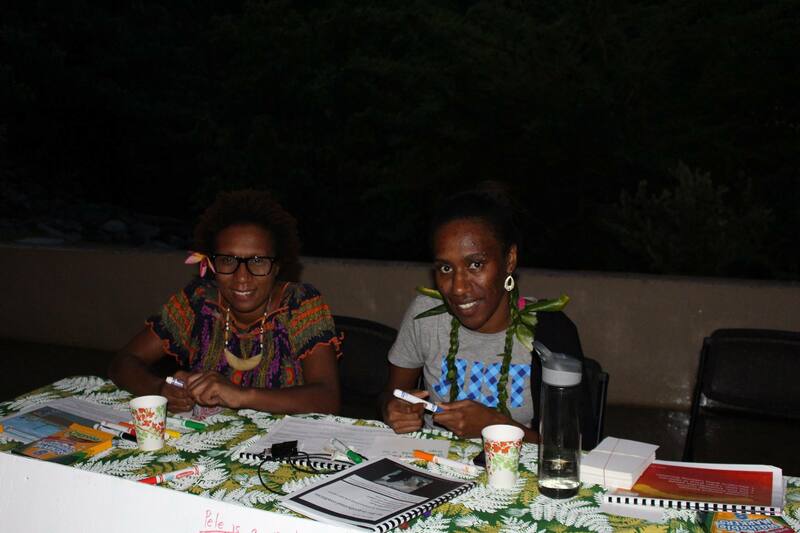 The purpose of the discussion is to allow a safe-space for everyone to share their knowledge, concerns, and questions with regards to geothermal in the Hawaiian Islands. 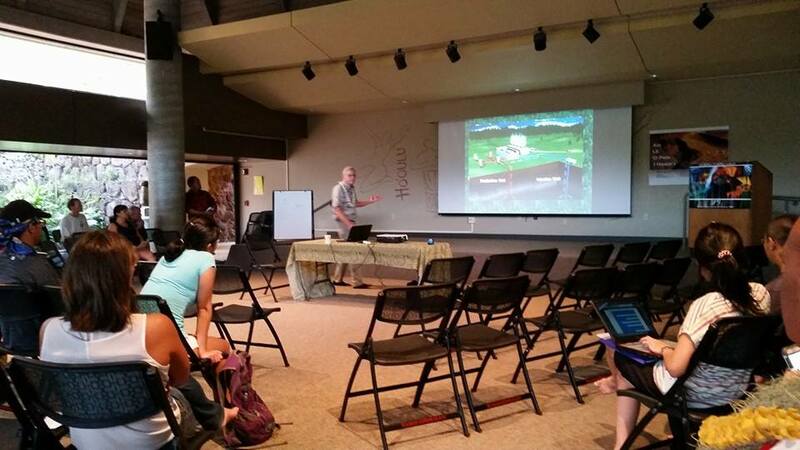 We were fortunate to have the founder of the Pele Defense Fund, Palikapu Dedman share his activism against Geothermal. He spoke for great length on the need to protect the volcanoes from further development throughout the entire Hawaiian Islands. Others raised poignant observations of the process. 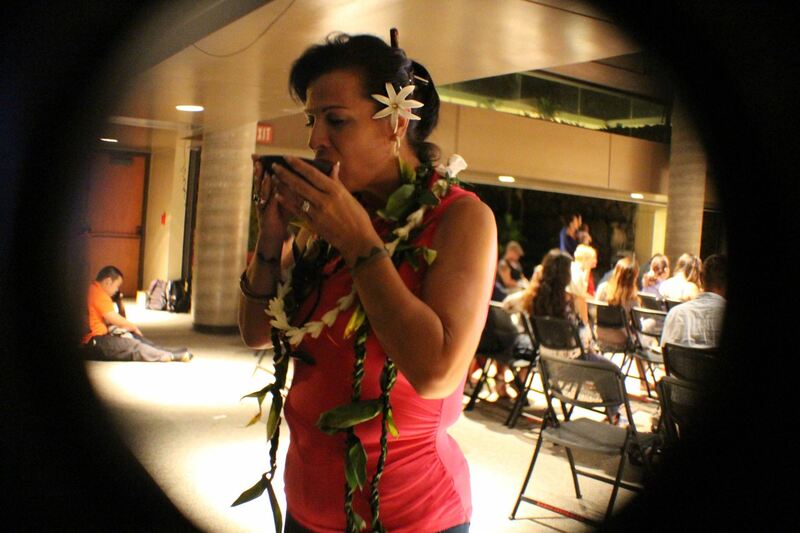 For instance, a well dug to a certain level to extract the geothermal resources from a Hawaiian perspective and world view, is removing the embodiment of Papa, Earth Mother. The volcano, though, is considered the embodiment of Pele, and Pele has a spirit in all the volcanoes as recounted and documented in epic stories, chants, and hula. Pele is also a general Hawaiian term for lava and flow. The well extracts the hot geothermal fluid, very hot water. 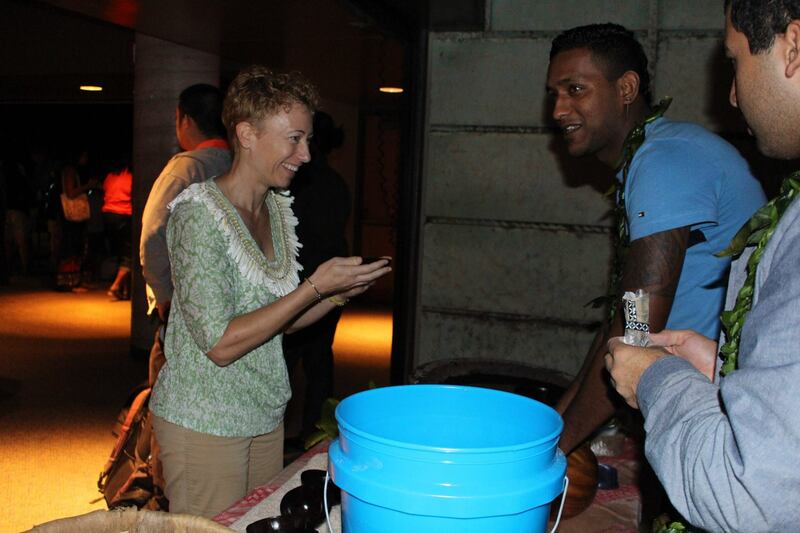 From a Hawaiian worldview, the hot water is the embodiment of Kaneikawaiola.